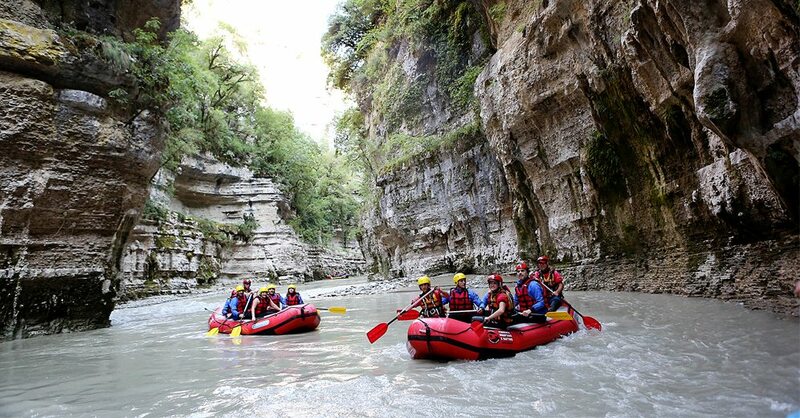 If you’re looking for a way to go deep into wilderness there’s nothing quicker than a quick river and rafting trips are the only outdoor activity in Albania that includes deep wild canyons and rivers. 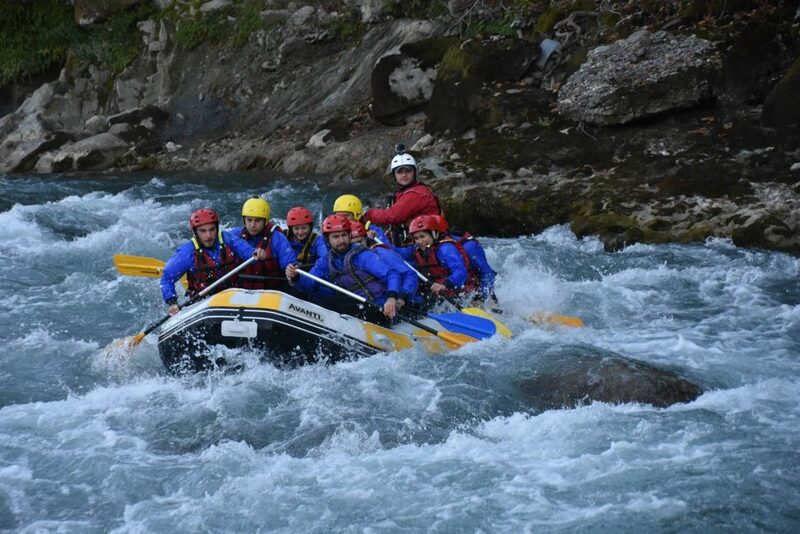 While kayaking and canoeing are possible almost all over Albania, in rivers, lakes, and at the coast, amazing rafting trips happen only in Osum and Vjosa rivers. Osumi Canyon is the largest in Albanian and it is located in Corovoda-Hambull section of Osumi Valley. It is 13 km long and width varies from 4-35 meters and over 80 meters high. Interesting rock formations and waterfalls are found in some sections of the Canyon. From April to mid-June, the canyon welcomes rafting enthusiasts from Albania, Italy, England, the Czech Republic, Germany and other countries. The waterscape of this area appeals to the fans of water sports such as rafting and river hiking in Osumi River and kayaking in Gradeci Canyon. The difficulty level depends on the water level and flow. The entire canyon has a difficulty level between II/III scale and it’s not considered dangerous. Summer is the best season for river hiking and it is also possible to find natural swimming pools. It takes about three hours for a completing a rafting or kayaking trip. While rafting depends on the level of river water, kayaking is possible throughout the year. Following June, it is the main activity in the canyon. 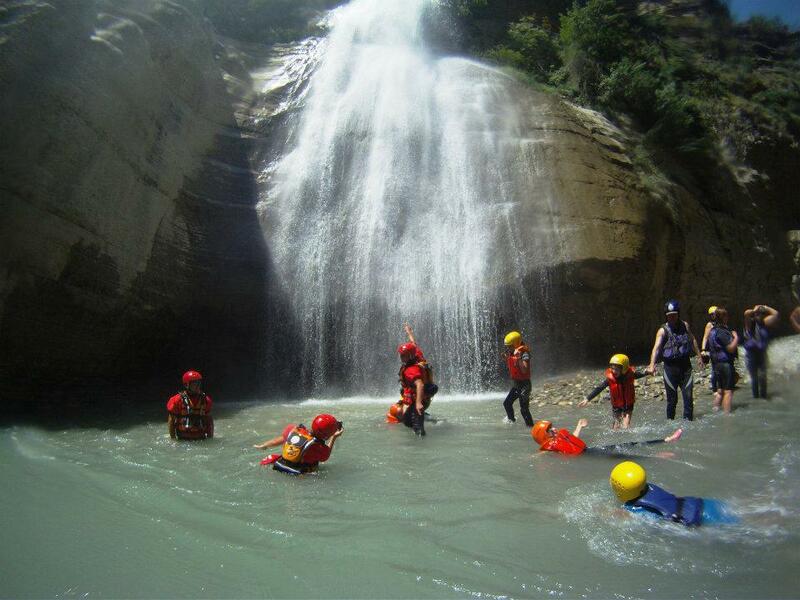 There are several guided tours and groups based in Berat and Corovoda that organize rafting trips in Osumi River. The package often includes accommodation and food. The canyon is clean and there’s no pollution until Corovoda city. Itinerary to follow: starting from Corovoda a dirt road is followed until reaching Gradeci River. Two km away near a military area another dirt road takes to the river banks. Besides the adrenaline rush, rafting trips to Vjosa River include exploration of nature and local elements such as traditions and cuisine. Vjosa, also known as the last wild river of Europe because nothing stops its flow for more than 270km. Rafting activities in Vjosa can raise awareness on the uncial ecosystem of this river. In some sections, the river runs through narrow canyons and gorges and in others the river bed reaches a width of two km. Meanwhile, it is possible to visit Benja thermal baths, Langarica Canyons and the historic center of Benja. Rafting trips in Vjosa River include both adventure and relaxing moments.